Inside: Learn how to make this classic and delicious Shepherd’s pie recipe that everyone, big and small will enjoy. It is ideal for any occasion and it is easy to make. A few years ago when I had just recently moved to the United States, my sister-in-law invited us over to her apartment to have Shepherd’s pie for dinner. Being new to the country, I hadn’t tried very many different types of food yet other than the authentic Mexican recipes that I grew up making. Living in a multicultural country like the United States has its advantages. One of those is being able to try many different recipes from different regions. One such recipe is Shepherd’s pie, which we ate that night. I liked it so much that I started to make it for our own menu occasionally. That said, some time went by and I didn’t make it again until just recently. When I decided to make it, my oldest son was so impressed that he had 4 servings of it! The other two had a couple of servings as well, which means that we had quite a successful meal that night. We now have included this in our weekly menu at the request of the whole family. I love it too, and that is why I am excited to share the recipe with you. 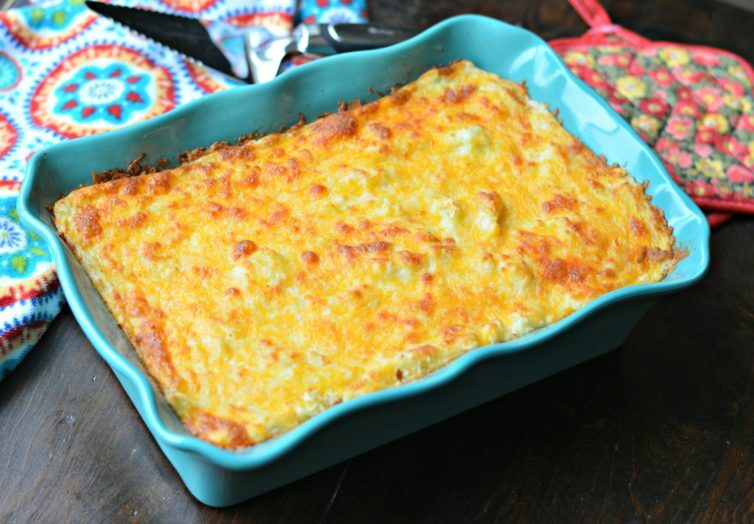 Shepherd’s pie is an inexpensive meal to make, and it consists of a ground beef base, covered with mashed potatoes and, in this version, shredded cheese. Traditionally in the United Kingdom, it was made with lamb meat, but in the United States, it is more common to make it with ground beef. There are many ways to modify the beef mixture, which makes it great for people that want to be adventurous. Like I mentioned above, you can use ground beef or lamb, depending on what you like. 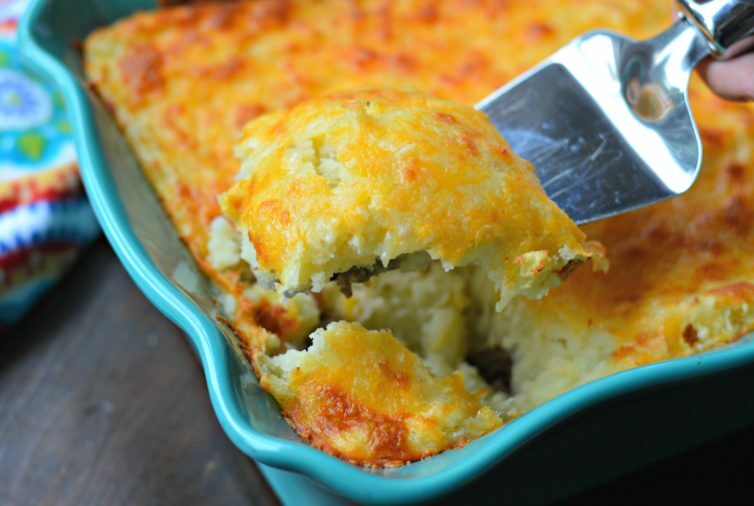 The mashed potatoes should have a smooth consistency so that you can spread it out evenly over the ground beef. 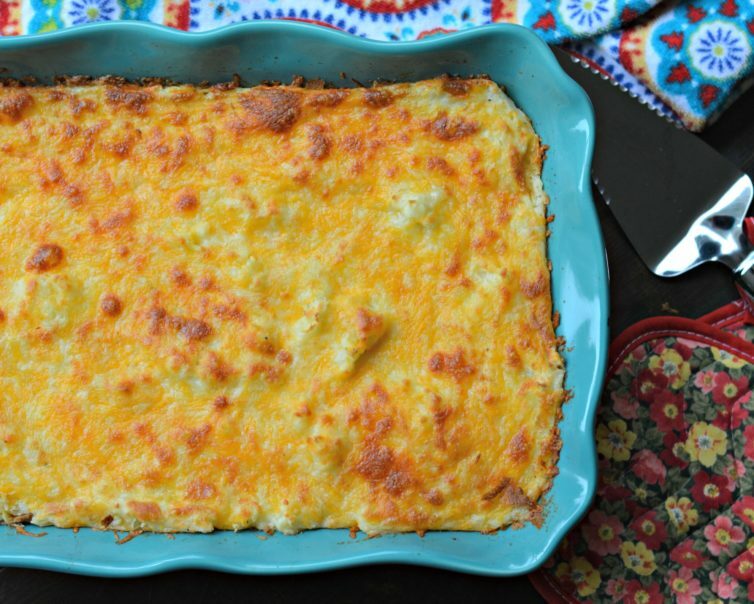 Finally, the shredded cheese should completely cover the layer of mashed potatoes and it should then be completely melted until it starts to turn golden brown. This is so delicious and easy to make and you can make it year-round. We like to serve it with tortilla chips and salsa verde, but that is just a personal preference. The original dish started in the United Kingdom and was brought to the United States during the colonization period, and it has undergone many adaptations and changes since then. However, it is still delicious! 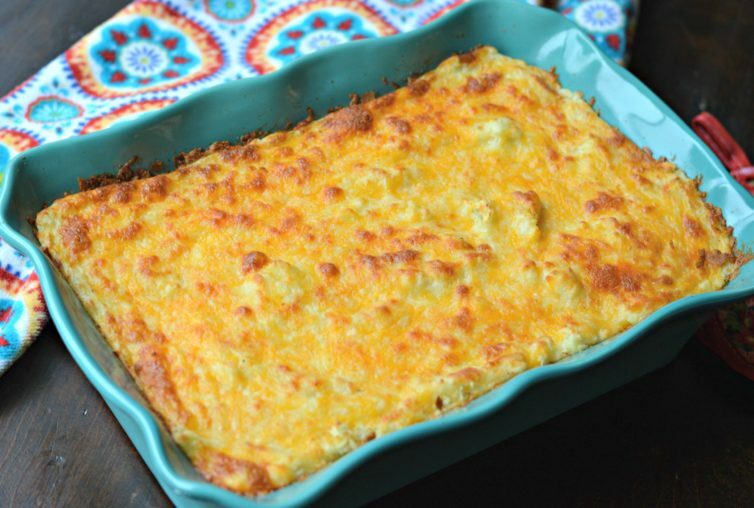 If you have picky kids at home, try this recipe and you may be surprised how much they love it! Let me know below how it turns out. 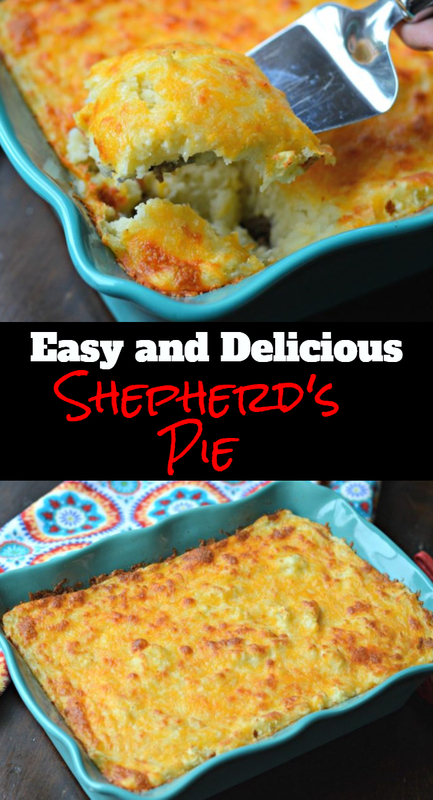 Learn how to make this classic and delicious Shepherd's pie recipe that everyone, big and small will enjoy. It is ideal for any occasion and it is easy to make. Boil the potatoes in lightly salted water until they are completed cooked through and can be mashed easily with a fork (about 15-20 minutes). Lightly mash the potatoes and then add the rest of the ingredients for the mashed potatoes. Continue mashing, adding additional half and half if necessary until they reach the desired consistency. Set aside. In a separate pan, saute the onion and garlic with the olive oil for 3 minutes. Add the corn, the peas, and the bacon (and any other ingredients that you choose), and the spices until everything is cooked through and the flavors are evenly distributed. Set aside. 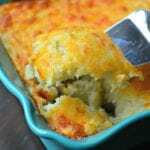 In a lightly greased baking dish (9x11), add the meat mixture covering the entire bottom section. Carefully spread the mashed potatoes over the meat layer. Bake for approximately 20 minutes, or until the cheese is fully melted and beginning to turn golden brown. You can put it under the broiler for a minute or two if desired.